Home » IGK News/Blog » Construction of Arena » How Does Your Arena Handle a Rain Storm? One of the first questions I ask when discussing an arena during heavy rain is, “How does your arena handle a rain storm?”. Unpredictable weather conditions will forever be a curse in certain parts of the world, especially when it comes to the equestrian industry. Don’t you hate when the weather ruins your riding schedule? Ever remember a time when you were excited to work your horse when Saturday came. Well Saturday came, along with a huge rainstorm; which then put the outdoor arena out of commission for Saturday & Sunday. There are a few simple steps you can take to decrease the chances of ending up in a muddy or washed out arena. Location is a huge play on how your arena will handle rain. 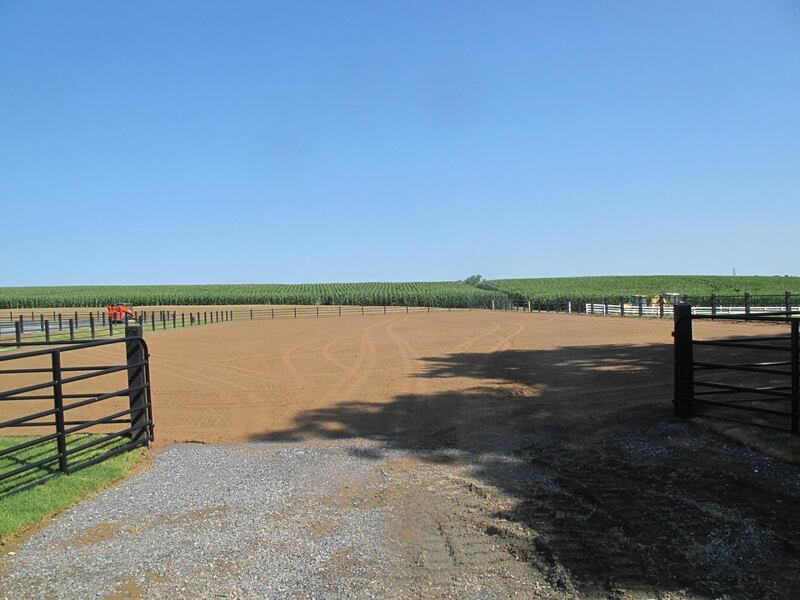 If you have the luxury of designing your own outdoor arena, be sure to choose a spot that is on higher ground and away from where your barn rain will drain. 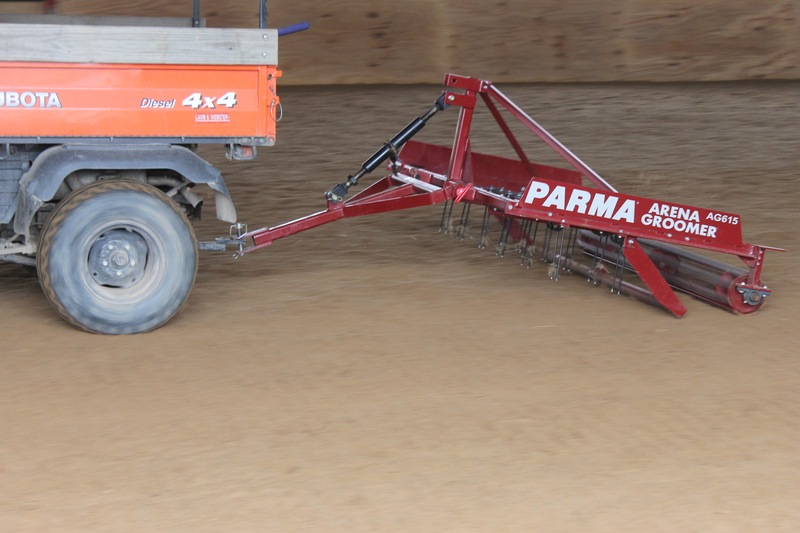 Adequate base and drainage play a crucial part in draining the arena during heavy periods of rain. When building the arena, install 3-4 inches of larger aggregate stone on the very bottom, then 3-4 inches of compacted stone dust with a 2% crown, and finish with 3-4 inches of footing with a 2% crown. The crown will allow for water to drain off of the surface much better. Pressure treated retaining boards rests on top of the large aggregate stone and outside the fence posts. Retaining boards will help your footing from migrating off of the arena when the water also drains off. Perimeter or curtain drains should run around all sides of the arena around 4-6 buried; the large aggregate stone should also surround the perimeter drains. Below you can see a side view of the base in an outdoor arena. Having regular sand in your arena makes it even harder to ride after rain. The sand is easily washed out, and can easily migrate out of your arena. Our dust-free footings are great for both indoor and outdoor arenas. When confronted with water, the wax in the footing blend actually wicks the water off of the surface. Around 80% of the rain is wicked off the surface and the footing only absorbs about 20% of the rainfall. Our customers have given us feedback that they can ride as soon as the rain stops. They don’t have to give their arena time to finish draining the rest of the water. Don’t postpone your scheduled workout again! 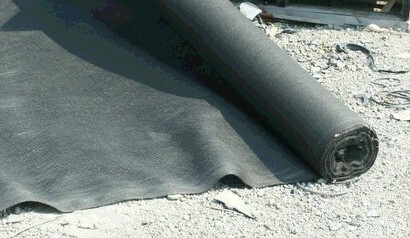 Choose a footing that can handle heavy rains like those from IGK Equestrian !! Let IGK Equestrian know how does your arena handle a rain storm? Next post Visit Us at Equine Affaire!